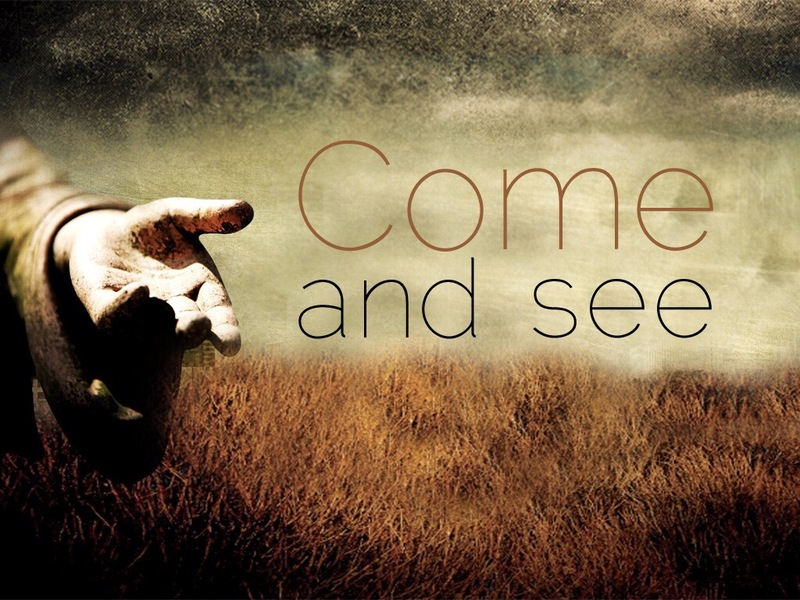 O (Observation): As Jesus begins his earthly journey, according to the Gospel of John, his first followers are gained through this simple invitation of “Come and see.” Whereas, the other gospels use a more direct “follow me” approach from Jesus. This phrase has a lot to do with Jesus in John’s Gospel. Those who follow along with Jesus will see signs and wonders. Those invited to “come and see” will be witness to some amazing things. A (Application): Something strikes me about the invitation Jesus makes, here. “Come and see” has a tone much different than “Follow me”. Could just be me. I’m very sensitive to the ways of the world. The world, I believe, wants to hear “Come and see,” more than “Follow me.” Invitation more than Challenge. Our world wants to see with their own eyes. And they want results. After all, this world has been betrayed by so many recently. In the US alone, think about scandals in the sporting world. Baseball players taking illegal substances to enhance their performance. Football players and domestic violence. Corporations and corruption. Priests who are pedophiles. All of these hurts take time and grace to heal. So what do we do? Who can we believe? Now, perhaps, is a time for action, more than words. God has granted a covenant with us that is everlasting and has identified us as God’s children. God has granted us AUTHORITY in the world, so that we can let God’s POWER loose in the world. When we act on that authority and do deeds of power, we should be inviting people along to “come and see” what God is up to. Who have you invited to “come and see”? Or if you feel that you’re faith isn’t strong enough, think about who has invited you to go along with them? Will you follow? P (Prayer): Lord, grant us the patience we need and the witnesses of others whom we can follow, so that we can see your good works. Amen. This entry was posted in Digging Daily and tagged Come and See, John, Witness. Bookmark the permalink.